Mr. Kane is a nationally prominent lawyer specializing in the practice of redevelopment law. 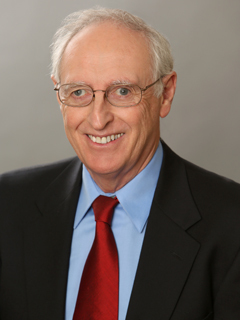 Mr. Kane joined the Firm in 1973 and has been a principal of the Firm since 1978. He has extensive experience in all phases of redevelopment, including the creation, organization and administration of agencies, creation of projects, relocation and owner participation, public improvements, and land disposition. He served as General Counsel for the Community Redevelopment Agency of the City of Los Angeles for over fifteen (15) years and is also primarily responsible for the Firm’s representation of the Culver City, Palmdale, Huntington Beach, Santa Monica, Los Angeles, Indio, Moreno Valley, Pasadena, and Redondo Beach redevelopment agencies. Mr. Kane also served as litigation counsel on validating actions involving the Central Business District Redevelopment Project of the City of Los Angeles, the Alpine Redevelopment Project of the City of Tulare, the Village Redevelopment Project of the City of Claremont, the Redevelopment Plan of the Community Redevelopment Agency of the City of Santa Ana, and other projects. Creator of concept of insurability of Orders of Immediate Possession to permit conveyance and construction financing prior to Agency property ownership. Advised on first use of tax increment for affordable housing. 1974-75 (Mission Inn, Riverside and Airport Move-On Program, Los Angeles). Drafted redevelopment plan language as the basis for redevelopment affordable housing set aside legislation. Successful adoptions of redevelopment plans under Disaster Redevelopment (Including Whittier plan, adopted six weeks after October, 1987 earthquake, and Santa Monica and five Los Angeles Earthquake Recovery Plans adopted after January, 1994 earthquake). Fox Hills Mall, Culver City. Mr. Kane is a frequent lecturer on redevelopment topics to such organizations as the League of California Cities, the Los Angeles County Bar Association and the California Redevelopment Association, as well as serving as periodic guest lecturer of the Schools of Law and Business (Real Estate) of the University of Southern California. Mr. Kane has testified on the financing of redevelopment projects before Legislative Committees of the States of California, Colorado and Kansas. Mr. Kane has also testified as an expert witness of the subject of redevelopment in the Superior Court of the State of California for the County of Los Angeles and the County of Napa. His expert testimony was expressly relied upon by the California Supreme Court in Napa v. Marek, a major case decided in favor of redevelopment agencies of the State of California. Before joining the Firm, Mr. Kane served as City Prosecutor, Assistant City Attorney and Acting City Attorney for the City of Culver City, California. In those capacities Mr. Kane had personal and primary responsibility for providing legal services to all levels of city government on all aspects of municipal law. He sat as legal counsel to City Council and Planning Commission, and prosecuted all misdemeanors occurring within the City (both State and Municipal Code) and advised and defended the police department and its officers in civil and criminal matters. He drafted all revisions to the Municipal Code and all City ordinances, resolutions and contracts, and represented City and its officers and employees in state and federal courts in many civil litigation matters, including police department matters, attacks on validity of City ordinances and regulations, municipal finance, and personnel matters.